As the aerospace industry in Canada and around the world continues to increase its use of automated composite manufacturing techniques to produce large aircraft components, the industry is eager to find solutions to manufacture reliable, safe, and cost effective composite structures. The National Research Council of Canada (NRC) and Fives are working together to improve the efficiency of manufacturing composite parts. 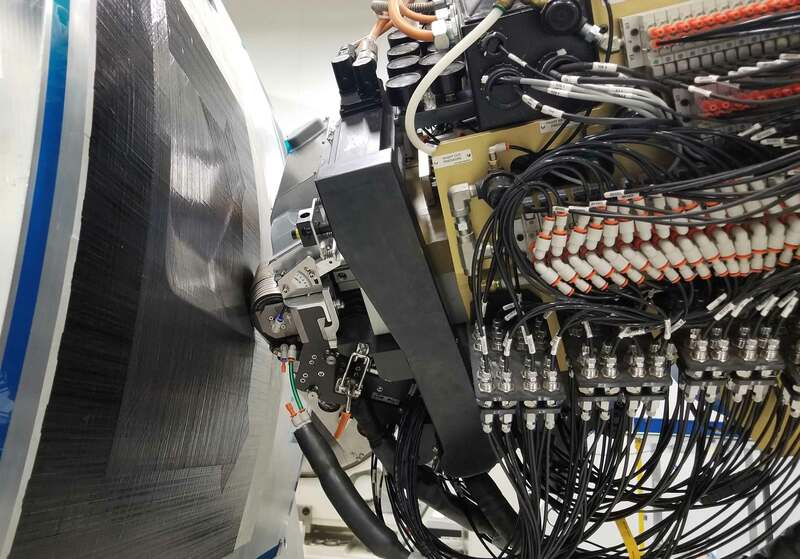 They are developing an advanced profilometer that will provide faster and more accurate part inspection. The NRC's aerospace manufacturing technologies centre supports industry, particularly the aerospace sector, in developing, demonstrating and implementing next-generation, cost-effective manufacturing methods. Fives designs and supplies machines, process equipment and production lines for various industrial sectors and is a major supplier of composite manufacturing equipment to the aerospace industry. The engineering group employs close to 8,700 people in about thirty countries, mainly in Canada, the United States, and Europe. The Metal Cutting and Composites group that worked on this project has over 1,100 people globally. President and CEO, Fives Machining Systems Inc. The National Research Council of Canada (NRC) is the Government of Canada’s largest research organization. It is a key part of the Innovation and Skills Plan and of Budget 2018’s commitment to supporting Canada’s researchers to build a more innovative economy. To help position Canada as a global leader, the NRC is increasing its collaboration with regional ecosystems and with universities, polytechnic institutions and colleges, and establishing collaboration centres across the country.